The warm weather made its debut early here in the Northeast part of the country this year! All of this gorgeous weather has allowed us to get outside with the kids a little more frequently than we're used to at this time of year. It's also allowed me to plant some of the plants and seeds that I may not have planted for another month or so. This early gardening inspired the kids to want to plant their own gardens this year; and they're able to do just that with the adorable new Disney inspired greenhouse kits from Miracle-Gro! These super cute Greenhouse kits include everything your child needs to start their very own garden. 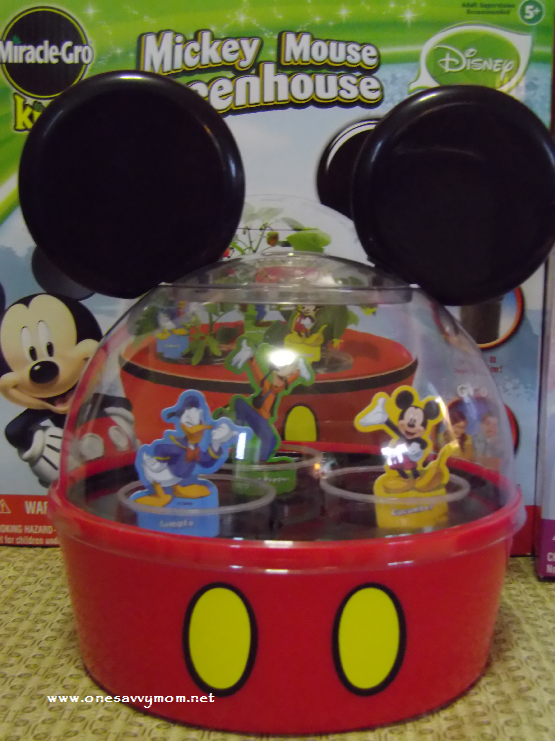 The new Disney inspired Miracle-Gro Kits come in 3 styles; Mickey Mouse, Princess Castle, and Pixie Hollow. Our kids had a blast planting their own Princess Castle Greenhouse and Mickey Mouse Greenhouse. 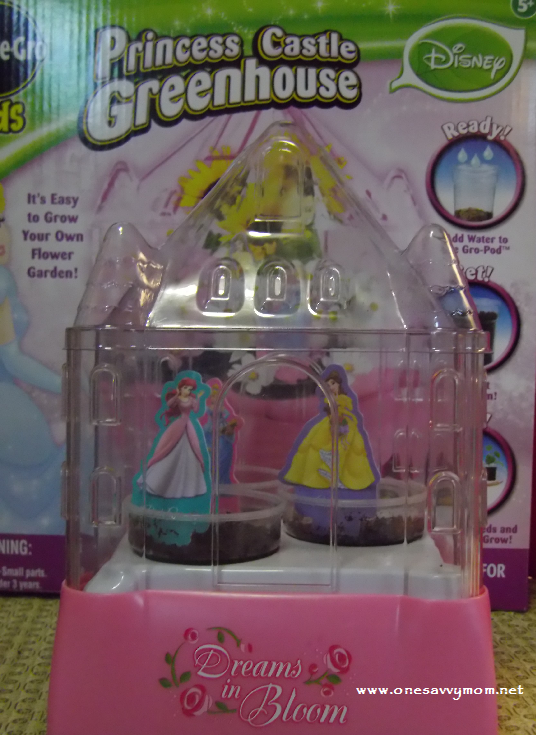 The Princess Castle Greenhouse includes everything needed to start a flower garden and includes Sunflowers, Pink Cosmo, and White Cosmo seeds. The Mickey Mouse Greenhouse includes everything needed to start a vegetable garden and includes sweet pepper, tomato, and cucumber seeds. Each kit also includes a planting stick, grow cups (drained well), 3 Disney themed Plant Stakes, Miracle Gro Soil, a growth chart for your child to track the growth of their plants, and a seed germination fact pyramid. As a parent I love that Miracle-Gro took that added step of including the Seed Germination Pyramid and the Growth Chart in these kits. It definitely added to this activity and also made it a learning experience for the kids. The Pyramid takes the kids through the various phases of the seeds germination and also offers valuable information about plant care. These adorable all-in-one greenhouse kits are a wonderful way to teach children about seed germination and plant care. They are also the perfect way to welcome Spring! The root viewer kit looks really cool! The Kids Root Viewer looks like a lot of fun and a great way to learn! The Miracle Grow Kids Root Viewer looks really neat! The Kids Vegetable Terrarium looks fantastic. Can't wait to check these out in the store. I think the Root Viewer would be interesting. I like the Miracle Grow Kids Gravity Gro Station! Very cool! I like the kids vegetable greenhouse. Those are so stinkin' cute!! My favorite is Pixie Hollow. From the Miracle Gro website, I know my Nieces would love the Miracle Gro Kids Windowsill Vegetables. I would also love to have the Miracle-Gro Kids Vegetable Terrarium since we live in Las Vegas and an actual garden is tough due to watering restrictions and weather! My 3 yr old will even love this she loves watching our plants grow! I like the root viewer. We would love to have the Kids Root Viewer too! I would love the windowsill flower kit. very cute! i like the root viewer that looks neat!!!!!!!!!!!! the terrarium and root viewer! I like The Miracle Grow Kids Root Viewer . 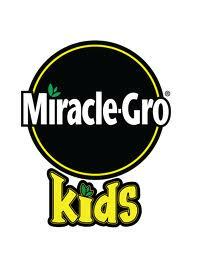 Miracle Gro Kids Gravity Gro Station would be amazing to have in the house and for my child to grow her plants in. Watching them blossom would be lovely! I'm excited because it would be something for me to enjoy with my grandson and a great learning experience. my grandson loves Mickey and I love gardening. What a great way to get him interested in my hobby. my kids love to grow plants so this would be a lot of fun for them to do! We love plants, but aren't very good at keeping them alive. This would be a nice way to actually watch them grow and see the changes and growth. I'd love this because it is a great learning and family activity! I'd probably gift to my grandson for his birthday, as they are putting in some different landscaping and plants/flowers. He's going to be 5 and I know he'd get really "into" that project with something like this! I think this would be so much fun to do with the kiddos! My son is a big Mickey Mouse fan and would love this!! I've been talking to my boys about growing a garden in the back yard, and I think this would make them happy to have their own version. I'm excited to plant this with my kids because they like to grow stuff.